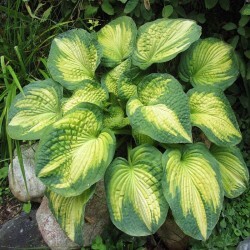 Hosta ' Abiqua drinking gourd ' ( hosta ) Hostaceae creation 1989 a medium hosta . Hybrid h.tokudama and h.sieboldiana . 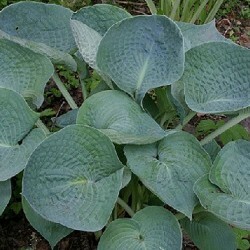 Leaves thick , embossed blue gray cupped . White flowers. Background and massive pots . 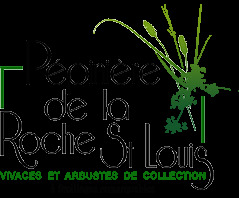 Resistant to slugs. 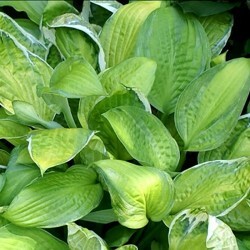 Hosta ' lovely ' ( hosta ) Hostaceae van hoorn creation medium to large hosta with very fragrant white flowers . 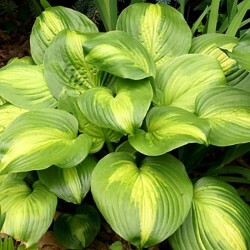 Sport of Hosta ' Royal Standard ' . 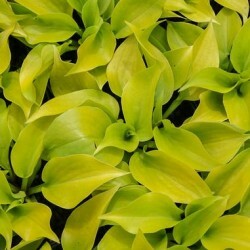 green oval leaves bright chartreuse identified in dark green. Good growth. Supports some sun . 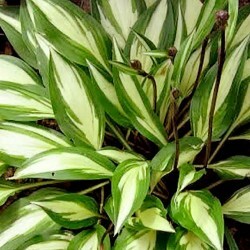 Hosta 'cathedral window' ( hosta ) Hostaceae 2005 creation large hosta from the h . 'Stained glass' . 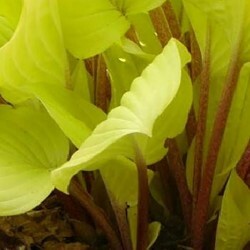 Large, rounded leaves and veins , bright green to yellow acid heart. Very large purple flowers bordering the pale white, highly fragrant. 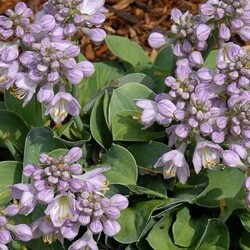 Resistant to slugs.Large fragrant flowers !